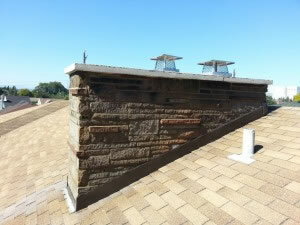 Over time your chimney and fireplace can become worn and damaged due to weathering and moisture. Regular chimney maintenance is suggested to avoid costly repairs down the line. 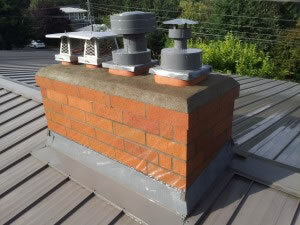 Often a chimney can be restored with some basic repair such as sealing, spot tuck-pointing or minor brick replacement. It is important to address water damage and flaking bricks early on. If your chimney is not properly maintained and cared for then more severe repairs may be required. 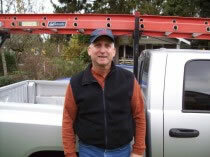 Excel Chimney Repair & Fireplace Service has provided the Seattle, WA area with fireplace, brick and chimney repair services for homes and businesses of all sizes and ages. We repair chimney tops, replace chimney caps, and repair chimney brick and stonework. 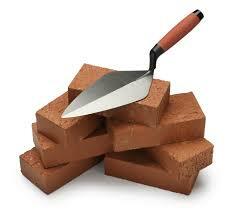 Our Team are experts in brickwork repair and tuck pointing (fixing mortar between bricks). Our team of experts can handle a wide range of chimney and fireplace repairs as well as custom brickwork. 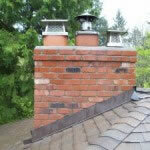 We specialize in Chimney Repair Seattle, fireplace repair and brickwork repairs. Our customers are our main priority and your satisfaction is always our goal. When is a Chimney Repair Not Enough? 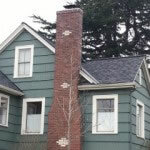 In many cases the damage of a chimney is so substantial that tuckpointing Seattle will not work. When this happens a chimney, and/or fireplace, rebuild is necessary. As a result of direct exposure to all aspects of weather (especially moisture and freeze-thaw cycles), the mortar that keeps the bricks held together will crack, allowing water entry. The brickwork is porous and becomes saturated. This creates the framework of the brick to degrade, which causes a safety concern for the chimney and for your home. There are two common rebuilds of a chimney: partial and full. Partial chimney rebuilds are mostly done above the roof or the top few courses of a chimney, which generally also requires a new crown. Full chimney rebuilds consist of completely rebuilding the fireplace and chimney. This service consists of demolishing the outer layer of brick on a chimney system and adding a new crown. With a full rebuild, the firebox, smoke chamber, and hearth do not typically have to be replaced. Chimney rebuilds are required when the chimney is leaning, has extensive masonry damage,or vertical cracking has occurred. In addition to chimneys and fireplaces, Excel Chimney and Fireplace repair does excellent residential brick work. We can create or repair porches, entry towers, mailbox supports, and decorative brick installation and restoration. Other services we provide include:• Chimney Repair• Masonry Restoration • Brick Repair • Fireplace Repair • Chimney Caps • Chimney Rebuilds & lining• Chimney Top Repair • Custom Brickwork • Earthquake Repair and Retrofit • Metal Chimney Liners • Brick and Chimney Waterproofing.